The Heritage Nursery is a program of Tree Pittsburgh, and promotes healthy forest ecosystems by collecting and growing seeds that thrive in our region’s climate. We partner with local environmental groups, contractors, designers and individuals to provide locally adapted trees for planting projects. When Pittsburgh was first settled, the region boasted abundant and diverse forests, thriving with rich ecological communities and services. But after nearly two centuries of industrialization, mining, and more recently urban sprawl, much of our region’s natural landscape has been left fragmented and unhealthy. Tree Pittsburgh’s Heritage Nursery seeks to revitalize local forests, and the important services they provide, by growing a diverse range of native and heritage trees for planting efforts. Our seeds are collected from “mother trees” that have proved both hardy in our local climates and resilient in modern conditions. Our nursery stock is curated with pride to withstand vegetative competition and thrive after planting, even in the toughest conditions. Heritage trees are trees of exceptional value that have endured our region’s harshest climate and environmental changes. These trees, which still thrive in old age, have resisted weather extremes, soil changes, and pollution over decades, making them ideal candidates for seed collection. We partner with local environmental groups, contractors, designers and individuals to provide locally adapted trees for planting projects. For specialized restoration projects, plants can be grown from the same eco-region of the destination planting. We also partner with local nurseries and garden centers to provide native plants for retail sales. Contact us for help growing or selecting the perfect plant palette for your unique project: nursery@treepittsburgh.org. The Heritage Nursery supports Tree Pittsburgh’s overall mission to create a healthy urban forest in the City of Pittsburgh by maintaining, planting and protecting trees, and is the only full-scale tree nursery of its kind in the Pittsburgh region, growing more than 80 tree species for local planting and ecosystem restoration efforts. Our nursery sits on a former brownfield in the Lawrenceville neighborhood of Pittsburgh. Nestled along the Allegheny River, it operates with a minimal footprint, using solar technologies for power needs and river water for irrigation. To encourage beneficial insects, birds and flourishing soil biology, we utilize integrated pest management strategies and organic control methods to keep our plants healthy and vigorous. Learn more about the Heritage Nursery story. 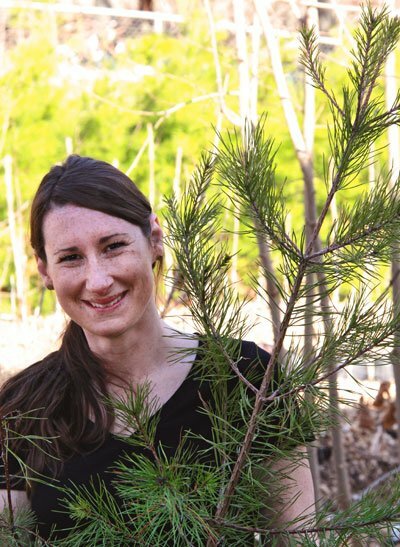 Megan develops and manages all aspects of the Heritage Nursery, from leading operations and the volunteer program to overseeing tree production and sales. From seed collection to the continued production of nursery stock, she works to ensure the highest quality product by using current industry best management practices. Prior to joining Tree Pittsburgh in November 2014, Megan served as the Business Development and Design Manager at Phipps Conservatory and Botanical Gardens where she led the organization’s sustainability consulting initiatives. Megan learned the nursery trade by working alongside her father for many years at their family-owned nursery business, Michael Brothers, in West Deer, Pa. She earned her B.S. in Landscape Architecture with a concentration in Horticulture from Cornell University in 2007, and is a LEED-accredited professional. An influential part of the Tree Pittsburgh staff since 2007, Matt manages the organization’s major programming efforts including those associated with tree planting, stewardship and implementation of the 20-year Pittsburgh Urban Forest Master Plan for the city of Pittsburgh. In 2009, he was appointed to the Pittsburgh Shade Tree Commission and he sits on the board of directors for the Pennsylvania Delaware Chapter of the International Society of Arboriculture. In 2013, he was elected Vice President of the Pennsylvania Urban and Community Forestry Council. Before joining Tree Pittsburgh, Matt worked for a private urban forestry consulting firm completing tree inventories across the country. Matt has a B.S. 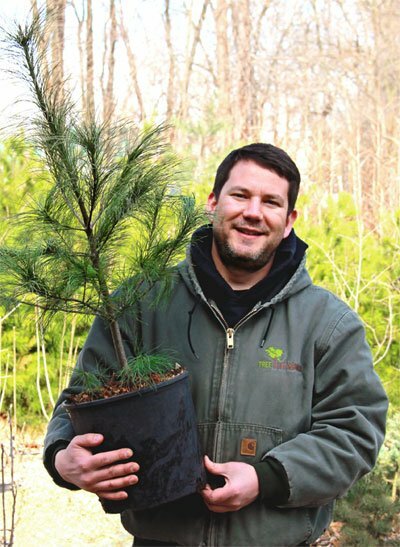 in Forestry from Penn State University, is an ISA Certified Arborist and was the first ISA Municipal Specialist in the Commonwealth of Pennsylvania. Restoration Projects: Planning a forest or riparian restoration project? The Heritage Nursery focuses on providing genetically diverse and locally adapted species for use in tree planting efforts of all sizes. We can partner with your organization to select the most appropriate plants for your unique location. Individuals: Do you have dreams of creating a patch of forest on your property? Our nursery team can help you create a healthy and diverse woodland, or improve an existing wooded area to optimize wildlife habitat and ecosystem services. Visit us at one of our upcoming public market events. Garden Centers: The demand for native species is stronger than ever, but locally adapted species are hard to find and take great resources to procure. Our Heritage Nursery can supply your garden center with affordable, healthy native species, grown specifically to thrive in this region. Talk to us about wholesale pricing for garden center specific programs. Special Events: Trees symbolize growth, health, beauty and new beginnings, making them the perfect favor for your wedding or special event. Our boutique quality saplings make beautiful favors that will live on as reminders of your momentous event. Custom Growing: Choosing region specific and site appropriate plants is important for the health and success of large scale restoration plantings. The Heritage Nursery works with organizations and clients to grow project-specific species from seed collected within their eco-region. Procurement: It all starts with locally collected seed. Along with our dedicated team of volunteers, we source from the hardiest trees in the region, planting seed and raising the resulting seedlings and saplings with care in our Lawrenceville-based nursery. Our educational and volunteer programming contributes to the preservation of some of the city’s oldest, most historic specimens, continuing the legacy of heritage trees, proven to be hardy and resilient in this region. Quality and Care: Produced using the highest industry quality standards, the nursery is committed to expanding the species diversity of trees available in this region. Our well-trained staff and volunteers work throughout the year to ensure that each tree meets the highest quality standards. Explore the full list of available stock: Please view our Availability page. Planning for Challenges: Biodiversity is a key indicator of forest health. We have now become well aware of the consequences of a heavily skewed population with historic events such as the Dutch Elm Disease crisis and present pest threats such as Emerald Ash Borer and Asian Longhorned Beetle. Our nursery strives to address these issues by growing diverse and disease-resistant nursery stock, and planning for current and future threats to our forest health.